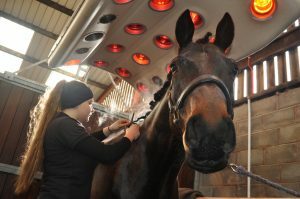 Reaseheath College horse care apprentices were introduced to three very different equine activities in an event during National Apprenticeships Week. 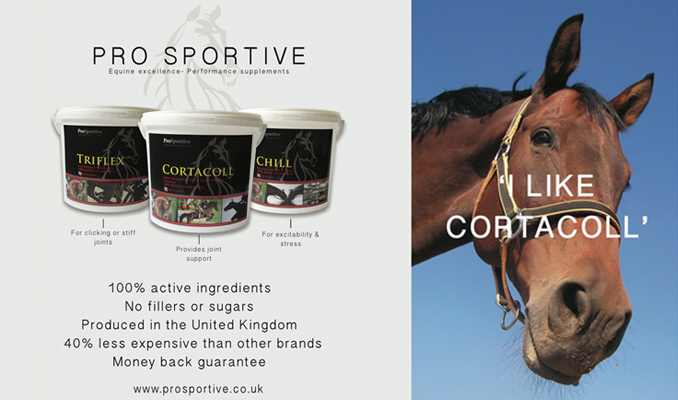 The apprentices, who work for equine businesses throughout Cheshire and surrounding counties, study at the specialist Nantwich college on one day a week and spend the rest of their time learning practical skills in their workplace. National Apprenticeships Week turns the spotlight on the benefits which apprentices bring to businesses and to the national economy by increasing productivity and providing workforce succession. 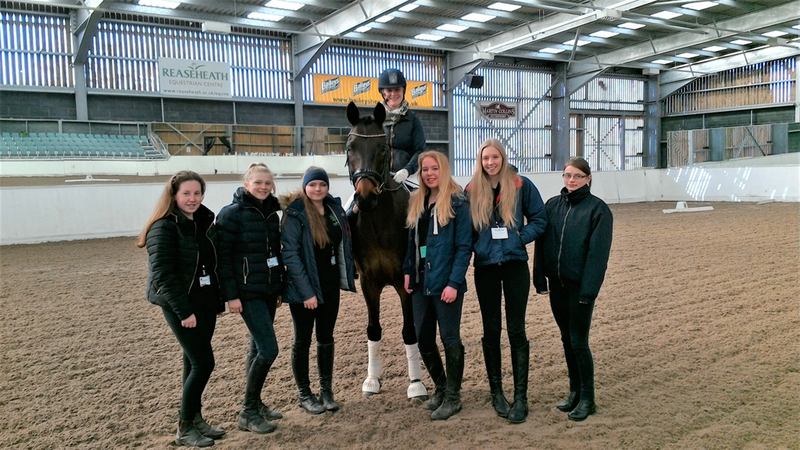 Reaseheath’s Equestrian Centre marked the occasion by inviting riders, employers and staff members to demonstrate their skills in dressage, quadrille riding and natural horsemanship. Watched by a packed audience of apprentices and full time students, Fiona Hulme, owner of Limes Lane Livery, Whitley near Northwich, and her dressage horse Harry showed how a balanced rider position and the correct application of aids achieved the best results. A newly formed quadrille team from the Friesian Horse Association Great Britain and Ireland also performed their display in Reaseheath’s indoor arena. 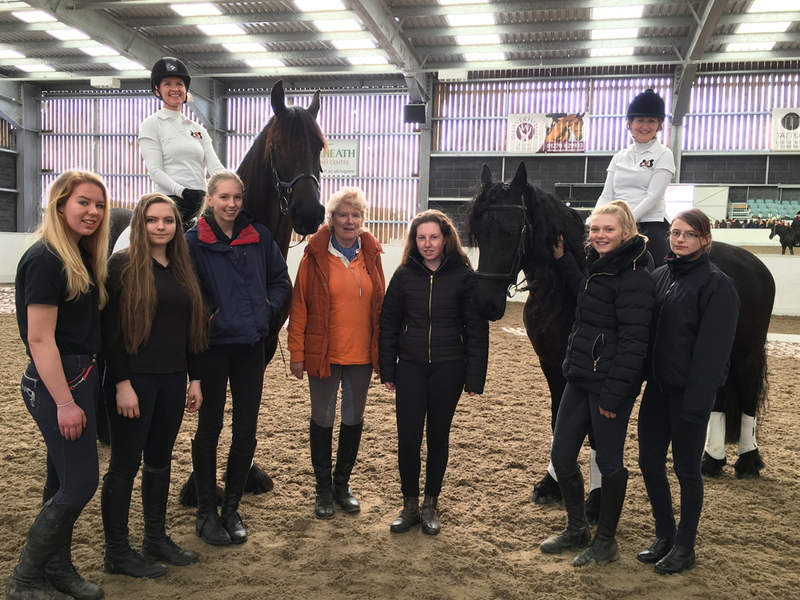 The riders and horses, instructed by Pam Rigby MBE, showed some of the movements they will perform at Warrington Horse Show in May. 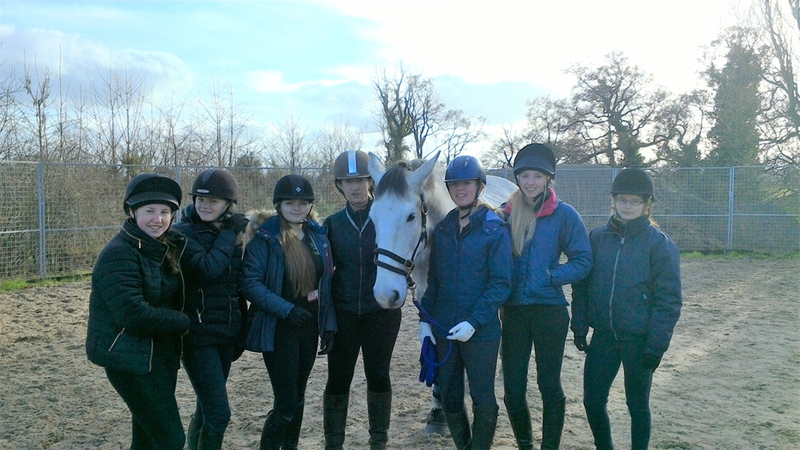 This was their first team experience before an audience and Pam showed the students the most effective ways of ensuring horses worked in close proximity happily and safely. This was followed by a hands-on session for the apprentices using natural horsemanship in Reaseheath’s purpose built round pen. Under the guidance of Work Based Assessor Michaela Atterbury, the apprentices enjoyed learning to use body language alone to influence their horse’s behaviour. They also became more aware of their horse’s body language – a useful skill which they can use in the workplace.